We finished up the last part of Ezekiel with the end of the vision of the New Jerusalem and Ezekiel gave a reminder to the people of God's commands including the keeping of the Passover. Ezekiel makes reference again to the three fold promise that was given to Abraham when the land was again divided among the tribes. Ezekiel ends with a sense of hope and looking forward to the return of the remnant back to Jerusalem. But it doesn't stop there. The hope of a continued future for God's chosen people goes beyond the return and into the future where there will be an even greater Jerusalem. I think we talked about this before but I will say again, to remember this vision of Jerusalem, because we will see a very similar one in the book of Revelation. The book of Daniel once again picks up the narrative story of the people of Israel in captivity in Babylon. We see four important characters right away, Daniel, Hananiah (Shadrach), Mishael (Meshach), and Azariah (Abednego). These were all young healthy men that were put into the service of King Nebuchadnezzar. They all had special gifts from God, "As for these four youths, God gave them learning and skill in all literature and wisdom, and Daniel had understanding in all visions and dreams." (Daniel 1:17 ESV). The story reads like a novel and is easy to follow. There are some great Sunday School stories in its pages as well. One thing that struck me this time was that the story of Daniel has a lot of parallels to that of Joseph. Both of them were sent to a foreign country under duress. Both interpreted dreams. Both became important political members in their new country. Many of the other stories are familiar to us such as the fiery furnace, the hand writing on the wall and Daniel and the Lions Den. Each story seemed to point to the fact that God was still involved and cared about his people. He was active in creation and wanted the whole world to bow down and worship him. So many great visuals to use when reading 1 and 2 Peter; for example the living stones (1Peter 2:5) reference really hits home with me. We are all just one piece of the puzzle that is part of the spiritual temple that is the church. We may look different and have different strengths and weaknesses but we are all important. Peter likes to use many references from the Old Testament in his letters. He uses them in great ways. Peter reminds us that we are “sojourners and exiles” (1 Peter 2:11 ESV) and we are to conduct ourselves in a manner that will honor God. We must always love on another and not worry when we suffer, and we will suffer. Peter makes the connection between Noah and baptism in 1 Peter 3. This is important because it gives us an Old Testament story to describe a New Testament activity. This gives more substance to the teachings of the New Testament. The book of 2 Peter talks a lot about our response to God’s promises (2 Peter 1:5). As Christians we are not called to static, stoic lives. We are called to action in response to what God has already done for us. We must now work hard in the life we have been given, knowing that God will take care of us. Peter also gives us a glimpse of the spiritual war that rages beyond Earth. In 2 Peter 2 he references hell where the angels that sin were sent to. We never get a full picture of this struggle, but we know it was bad and nothing we want to be a part of. One of the greatest parts of 2 Peter is when he writes, “But do not overlook this one fact, beloved, that with the Lord one day is as a thousand years, and a thousand years as one day. The Lord is not slow to fulfill his promise as some count slowness, but is patient toward you, not wishing that any should perish, but that all should reach repentance.” (2 Peter 3:8-9 ESV). There were some in Peter’s day (and in our day as well) that can’t seem to wait until Jesus returns. They think he should have come back a long time ago. Peter wants to tell these people that it is not that God has forgotten, it is just that he wants as many people to be saved as possible. The longer he waits the more people will be in heaven. How long will he wait? Only he knows. Praise God for his patience!!! DATE WRITTEN: Approximately 715 B.C. recording events from about 753-715 B.C. SETTING: Hosea began his ministry during the end of the prosperous but morally declining reign of Jeroboam II of Israel (the upper classes were doing well, but they were oppressing the poor). He prophesied until shortly after the fall of Samaria in 722 B.C. SPECIAL FEATURES: Hosea employs many images from daily life—God is depicted as husband, father, lion, leopard, bear, dew, rain, moth, and others. Israel is pictured as wife, sick person, vine, grapes, early fruit, olive tree, woman in childbirth, oven, morning mist, chaff, and smoke to name a few. TO WHOM WRITTEN: This letter is untitled and was written to no particular church. It was sent as a pastoral letter to several Gentile congregations. It was also written to all believers everywhere. SETTING: John was an older man and perhaps the only surviving apostle at this time. He had not yet been banished to the island of Patmos, where he would live in exile. As an eyewitness of Christ, he wrote authoritatively to give this new generation of believers assurance and confidence in God and their new faith. SPECIAL FEATURES: John is the apostle of love, and love is mentioned throughout this letter. There are a number of similarities between this letter and John’s Gospel—in vocabulary, style, and main ideas. John uses simple words and brief statements, and he features sharp contrasts—light and darkness, truth and error, God and Satan, life and death, love and hate. TO WHOM WRITTEN: To “the chosen lady” and her children—or possibly to a local church, and all believers everywhere. SETTING: Evidently this woman and her family were involved in one of the churches that John was overseeing—they had developed a strong friendship with John. John was warning her of the false teachers who were becoming prevalent in some of the churches. The faith of the child of God is constantly threatened by two opposing dangers: overconfidence and despair. It was to the second of these dangers that God’s message in Ezekiel 37 is addressed. In the previous chapter God had assured his people that the exiles now in Babylon were not forever gone, but that “they would soon come home” (38:8). God’s people were so depressed by their situation, however, that they found it difficult to believe God’s promise. They said: “Our hope is gone; we are cut off” (37:11). To reassure his people God granted Ezekiel a remarkable vision: the vision of the valley of the dry bones. God’s question of Ezekiel—“can these bones live?”—normally would have been answered in the negative. Ezekiel’s reply was interesting. He said, “Only the Person who made all those bones could make them alive.” Only the God who made man from the dust of the earth could make something living out of that valley full of bones which represented the whole community of exiles. The Lord promised to do for these bones just what he had done for the dust formed into a body in Eden: “The LORD God formed the man from the dust of the ground and breathed into his nostrils the breath of life, and man became a living being” (Genesis 2:7). At the Lord’s command, Ezekiel prophesied to lifeless bones and a miracle happened. There was a rattling noise as bone came together to bone. To Ezekiel the valley seemed no longer to be full of disconnected bones but of skeletons. God’s miracle continued, “Tendons and flesh appeared on them.” Now the valley resembled a battlefield littered with corpses. But God’s miracle was still not over. At God’s command Ezekiel continued to prophesy, and breath entered that army of corpses, and they came to life and stood up. Through a vision Ezekiel saw how God would re-create his people now apparently hopelessly lost in Babylon. Ezekiel carried out his orders and the Lord kept his promise. This ought to be a description of our lives: We carried out the Lord’s orders and the Lord carried out his promises. Knowledge that we are doing the Lord’s will in our lives is what takes away the boredom and drudgery. We are not just working for a paycheck. We are serving God and supporting our families as God expects. We are not just studying. We are using our minds to the maximum capacity because the Lord has called us to be good managers of our intellect. We are not just taking care or the kids. We are shaping the souls of God’s own children by letting them learn of Jesus from the way we talk and act. And the Lord keeps his promise, just as he did when Ezekiel preached to those dry bones as he was instructed to. After Jerusalem had fallen and the rest of the nation had joined them in exile, the Jews in Babylon had given up hope. “As a people and a nation we are just as good as dead.” they said. To which the Lord replied, “I can change that. I can raise you from the dead! I can return you to your land. Nothing is impossible for me.” This vision of the dry bones might have been the basis for the New Testament picture of the spiritual status of all people. St. Paul, for example, wrote, “You were dead in your transgressions and sins” (Ephesians 2:1). By nature everyone is spiritually dead, unable to do anything pleasing to God. But in his might and mercy the Lord has made us “alive with Christ” (Ephesians 2:4). This makes it possible for us who were “foreigners and aliens,” exiled from God because of sin, to become “fellow citizens with God’s people” (Ephesians 2:111-13, 19). Genuine faith will inevitable produce good works. This is the central theme of James’s letter, around which he supplies practical advice on living the Christian life. James begins his letter by outlining some general characteristics of the Christian life (1:1-27). Next he exhorts Christians to act justly in society (2:1-13). He follows this practical advice with a theological discourse between faith and action (2:14-26). Then James shows the importance of controlling one’s speech (3:1-12). In 3:13-18, James distinguishes two kinds of wisdom, earthly and heavenly. 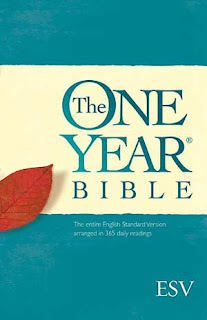 Then he encourages his readers to turn from evil desires and obey God (4:1-12). James reproves those who trust in their own plans and possessions (4:13-5:6). Finally, he exhorts his readers to be patient with each other (5:7-11), to be straightforward in their promises (5:12), to pray for each other (5:13-18), and to help each other remain faithful to God (5:19,20). This letter could be considered a how-to book on Christian living. Confrontation, challenge, and a call to commitment awaits you in its pages. Read James and become a doer of the Word (1:22-25). PURPOSE: To give a historical account of the faithful Jews who lived in captivity and to show how God is in control of heaven and earth, directing the forces of nature, the destiny of nations, and the care of his people. TO WHOM WRITTEN: The other captives in Babylon and God’s people everywhere. DATE WRITTEN: Approximately 535 B.C., recording events from about 605-535 B.C. SETTING: Daniel has been taken captive and deported to Babylon by Nebuchadnezzar in 605 B.C. There he serves in the government for about 60 years during the reigns of Nebuchadnezzar, Belshazzar, Darius, and Cyrus. KEY PLACES: Nebuchadnezzar’s palace, the fiery furnace, Belshazzar’s banquet, the den of lions. SETTING: Peter knew that his time on earth was limited (1:13-14), so he wrote about what was on his heart, warning believers of that would happen when he was gone—especially about the presence of false teachers. He reminded his readers of the unchanging truth of the gospel. SPECIAL FEATURES: The date and destination are uncertain, and the authorship has been disputed. Because of this, 2 Peter was the last book admitted to the canon of the New Testament Scripture. Also, there are similarities between 2 Peter and Jude. We keep plugging along in Ezekiel. This weeks readings seemed to be more “normal” than last weeks. Just your run of the mill judgments on Israel and the other countries (note the hint of sarcasm in my voice). I found one of the best nuggets of grace this week. At the end of Chapter 18 we read, “Cast away from you all the transgressions that you have committed, and make yourselves a new heart and a new spirit! Why will you die, O house of Israel? For I have no pleasure in the death of anyone, declares the Lord GOD; so turn, and live.” (Ezekiel 18:31-32 SV) Remember our discussion a few months back (I don’t exactly remember) when we talked about repentance and confession? This passage goes into that category. By this I mean that repentance and confession occur because of what God has already done for us. It is God who turns us by his word, and his Spirit. Another thing that I did not mention before is that God refers to Ezekiel by the phrase, “Son of Man”. Most scholars believe that when Jesus starts using this same term in reference to himself he was giving us an indication of his own character. By saying he [Jesus] was the Son of Man, he was saying that he is human. He has a human nature in addition to the divine. This is the same usage as God uses it in reference to the man Ezekiel. One other thing we saw this week and we will see again before the end of the book is the idea of “The Day of the Lord”. Whenever you see this phrase you should think: Judgment. This almost always refers to what will happen after the patience of God runs out and his punishment comes. Ezekiel was using in Chapter 30 in reference to what will happen to Egypt, but later it will be used in reference to the whole world. The New Testament picks up this same idea in Revelation. A quick note here; did you catch that reference in Psalm 110 to Melchizedek? Like we talked about last week, this is a reference to the Messiah. Note the difference between LORD and Lord in this chapter. If LORD is Yahweh then Lord (at least in this chapter) is the pre-incarnate Jesus. Neat stuff!!! Where do I start? So much here, I want to talk about it all, but I do not have the time or the space to do it. So lets start with the idea of the High Priest. I know we talked about it last week but here is some more info. When we teach children and new believers about the Faith we usually end up talking about the “offices” of Jesus. By this we do not mean the corner office in the company, we mean his jobs. We often say that he is prophet, priest, and king. The last two are very evident in the book of Hebrews. As a Jew, your only hope of forgiveness of sins lies with the High Priest. He is the only one that could go to God on your behalf and offer a sacrifice for the forgiveness of your sins. Jesus is now our high priest. He went to God for us and offered himself as the sacrifice. The author of the book of Hebrews really hammers this point home by discussing it over and over. This would have been a huge deal to a Jewish person. They are hard-wired to accept the idea of sacrifice for the forgiveness of sins. Many Jews struggle with the idea that the Temple is no longer standing. Quite literally, in their view, they have not been able to have forgiveness of sins since 70 A.D when the Romans destroyed the temple. Jewish Christians can find comfort in the fact that the sacrifice has been done in the person of Christ and this is once for all! It does not need to happen over and over again. The destruction of the temple would have been a very convincing argument for the writer of Hebrews so many scholars feel that this book was written before that. Another thing to mention is the idea of shadows here on earth and the real temple being in heaven. This is rather Aristotelian as far a philosophy goes (no time to get into that here) but we can all try to understand what that means. Temple worship on earth was never meant to be “the-be-all-end-all” of the life of faith. It served to foreshadow what was to come. All good books have some foreshadowing. What is present on earth will be fulfilled and completed in the heavenly realms. It ends up being a matter of Faith, which is what comes next in the book. Chapter 11 of Hebrews is often called “The Faith Hall of Fame”. It tells of the accomplishments of many of the saints that have gone before and tells how they too believed in the promise of the Messiah. They did not know about the person of Jesus but they did know about the promised Messiah. Their actions to keep faith alive were credited to them as righteousness from God. The obeyed even though they never saw, heard, touched, or experienced the Messiah. How much more should we hold on in faith since we know all about Jesus and he promised he would be with us always. We get to spend some intimate time with him each time we partake in communion. We know him and he knows us!! Let us then hold firm to the faith we have been given!! “Therefore, since we are surrounded by so great a cloud of witnesses, let us also lay aside every weight, and sin which clings so closely, and let us run with endurance the race that is set before us, looking to Jesus, the founder and perfecter of our faith, who for the joy that was set before him endured the cross, despising the shame, and is seated at the right hand of the throne of God.” (Hebrews 12:1-2 ESV). The last part of chapter 11 and the beginning g of chapter 12 form the text for our Parish theme this year at Bethany. The Faith Hall of Fame is filled with the heroes of the faith that we will talk about all year long. We will continue in Ezekiel and we will get to the famous dry bones story as well as the description of the new city of Jerusalem which has some parallels to Revelation; a lot to say about these in a later post. SETTING: Peter was probably in Rome when the great persecution under emperor Nero began (Eventually Peter was executed during this persecution). Throughout the Roman empire, Christians were being tortured and killed for their faith, and the church in Jerusalem was being scattered throughout the Mediterranean world. SPECIAL FEATURES: Peter used several images that were very special to him because Jesus had used them when he revealed certain truths to Peter. Peter's name (which means "rock") had been given to him by Jesus. Peter's conception of the church- a spiritual house composed of living stones build upon Christ as the foundation- came from Christ. Jesus encouraged Peter to care for the church as a shepherd tending the flock. Thus it is not surprising to see Peter use living stones (2:5-9) and shepherds and sheep (2:25; 5:2,4) to describe the church. There sure are some weird things that happen in the book of Ezekiel and Bible scholars debate some of the events, whether they were literal or not. For example in Ezekiel chapter 4, God tells the prophet to lie on his side for 390 days, one for each year of Israel’s sin, and then switch over to the other side for 40 days. A literal interpretation would seem to say that Ezekiel lay on his side for over 400 days. Is this even physically possible? Other scholars believe that he did this each night or during much of each day as a symbol against the sins of the people. For many this is confusing and can be an obstacle in understanding. For me, I tend to lean on the story from the New Testament of the rich young ruler who asks Jesus how he can be saved. Jesus gives him some hard lessons and in the end Jesus says, “With man this is impossible, but with God, all things are possible” (Matthew 19:26 NIV). If God wants Ezekiel to lay on his side for over a year then he will give him the ability to make it happen. If it was just some of the time then so be it. Sometimes when we try to put God in a box and make him conform to our way of thinking we can get ourselves into trouble. I give it up to Faith. Like Jeremiah, Ezekiel paints a grim picture for the people in exile. He speaks of the destruction of the people and God’s wrath upon them, but every once in a while we get these great images of restoration and grace. It is time to mine the scriptures again. Keep looking for these promises of God, we will see many of them as we close out the Old Testament. Many of them relate to the return from exile but some go deeper and foreshadow the Messiah and the wonderful ministry that will come to pass soon. In Chapter 4 we read a fantastic passage on the power of Scripture, “For the word of God is living and active, sharper than any two-edged sword, piercing to the division of soul and of spirit, of joints and of marrow, and discerning the thoughts and intentions of the heart.” (Hebrews 4:12 ESV). If that doesn’t make your hair stand on end, then you need a dose of the fear of the Lord. Yes, the Word of God is good but it also cuts deep into our sinful flesh. It exposes us for who we really are, it shows that we are not worthy and filled with contempt and hatred toward God. And then just a few verses later we have some very comforting words, “For we do not have a high priest who is unable to sympathize with our weaknesses, but one who in every respect has been tempted as we are, yet without sin. Let us then with confidence draw near to the throne of grace, that we may receive mercy and find grace to help in time of need” (Hebrews 4:15-16 ESV). I don’t know about you, but that is AWESOME!!! We can come boldly to the throne of God even after his holy Word has cut us to the core. We have not been left for dead. We have been cut open and laid bare by his word but it was for our good, like surgery, he heals us. His sacrifice as our High Priest brings us into a right relationship with God once again. A few notes on the whole High Priest thing. Remember that the High Priest was the one who would go into the Holy of Holies (the innermost part of the temple) to offer sacrifice for the forgiveness of the sins of the people. He did this once a year (on Yom Kippur = the day of atonement) but every year. Jesus now serves as that priest. He takes the sacrifice of himself and offers it for the forgiveness of our sins. But Jesus was not a just a priest. He was not from the line of Aaron and not a Levite. The author of Hebrews tells us he was actually much more. He was a priest in the order of Melchizedek. This interesting character is found in Genesis 14. Melchizedek was not only a priest of the most high God (Yahweh) he was also a king. Abraham gave him a tenth of everything he had. Jesus is not just a priest but also a king in the same way as Melchizedek. This story is ripe with symbolism here but we need to move on. In chapter 8 we get some new covenant talk and a quote from Jeremiah 31. We just spent some time talking about this a few weeks ago. More to say about this book next week until then keep your mind on the Old Testament as you continue in this great book. 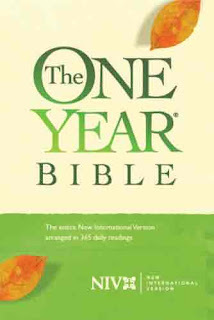 The Hebrew title for this book of the Bible is taken from the firs word, “How”. When, during the Intertestamental Period, the Jews translated this book into Greek they gave it the title, “The Tears of Jeremiah”. When the Greek was translated into Latin, it was named “The Lamentations of Jeremiah,” the title we use today. Lamentations consists of five individual poems. The first four (chapters 1-4) use a poetic device known as “acrostic”. In an acrostic each new line of poetry begins with a successive letter of the alphabet. 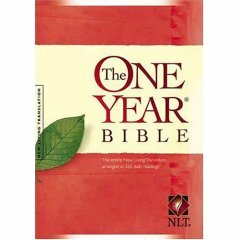 In chapters 1,2, and 4 each verse begins with a new letter of the Hebrew alphabet. Since the Hebrew alphabet has twenty-two letters, each of these chapters has twenty-two verses. In chapter 3 the author triples the acrostic. Every three verses begin with a new letter of the alphabet, so chapter 3 has sixty-six verses. In the face of Jerusalem’s destruction, the prophet encouraged the believers to keep on clinging to the Lord. The nation was without excuse. It has plenty of time to repent, but it chose the path of sin. Not its sins had brought the present terror. On its own, the nation could not deliver itself. Its only hope lay in a return to the Lord, and the Lord did not fail. Even in this disaster, believers could see his gracious hand. “Because of the Lord’s great love we are not consumed, for his compassions never fail. They are new every morning; great is your faithfulness” (Lamentations 3:22-23). Even under suffering, the believer can confidently wait for the salvation he knows will come. Since Paul calls Titus “my true son in our common faith” (Titus 1:4), he know doubt was one of Paul’s converts. He may have been from Antioch, where Paul had worked for an entire year before his missionary journeys (Acts 11:26). We find Titus there when Paul and Barnabas “were appointed, along with some other believers, to go up to Jerusalem to see the apostles and elders” about the necessity of circumcision for salvation (Acts 15:2). Paul mentions Titus as someone he had taken along as a test case and reports that “not even Titus, who was with me, was compelled to be circumcised even though he was Greek” (Galatians 2:1,3). Later Paul found Titus to be a valuable and trusted associate whom he sent to Corinth to settle the problems that had arisen in this congregation. In all of his Corinthian assignments Titus proved to be an evangelical, trusted, and respected “troubleshooter”. After Paul’s release from his first imprisonment, he may have met Titus when he came to the island of Crete. Paul left Titus there to complete the organizing of the church (Titus 1:5). This was not an easy assignment because of trouble makers who needed correction (Titus 1:10-16). Paul promised to send a replacement to Crete so that Titus might join him again at Nicopolis where Paul intended to spend the winter (Titus 3:12). Titus must have been with Paul in Rome during a part of his second imprisonment, for Paul sent him from Rome to Dalmatia (2 Timothy 4:10). We know nothing more about this assignment. Titus was no doubt younger that Paul but very likely older than Timothy. He did not need the kind of encouragement that Paul gave his younger “son” Timothy. The advice Paul gave Titus for his work on the island of Crete continues to be a blessing to the church and its pastors as they read, study and apply his inspired words to themselves and the church of all times. This is a personal letter sent as a plea for a runaway slave. Imagery and parallels abound in this short letter. Paul writes to Philemon and reintroduces Onesimus to him, explaining that he is sending him back not just as a slave but as a brother. Tactfully he asks Philemon to accept and forgive his brother. The barriers of the past and the new ones erected by Onesimus’s desertion and theft should divide them no longer for they are one in Christ. This small book is a masterpiece of grace and tact and a profound demonstration of the power of Christ and of true Christian fellowship in action. As with Philemon, God calls us all to seek unity, breaking down walls and embracing our brothers and sisters in Christ. I will have plenty to say about the book of Hebrews in the next two weeks. DATE WRITTEN: Approx. 571 B.C. SETTING: Ezekiel was a younger contemporary of Jeremiah. While Jeremiah ministered to the people still in Judah, Ezekiel prophesied to those already exiled in Babylonia after the defeat of Jehoichin. We will continue our study of Hebrews this week. Don’t forget the audience that this book is written to. They are Jewish Christians who are in danger of going back to Judaism. Keep this in mind so it will hopefully make more sense when you read language like “greater than Moses”, “high priest”, “Melchizedek”, “covenant”, “tabernacle”, “sacrifice” etc. I will spend a lot of time in the next two weeks talking about this book. It is one of my favorites.